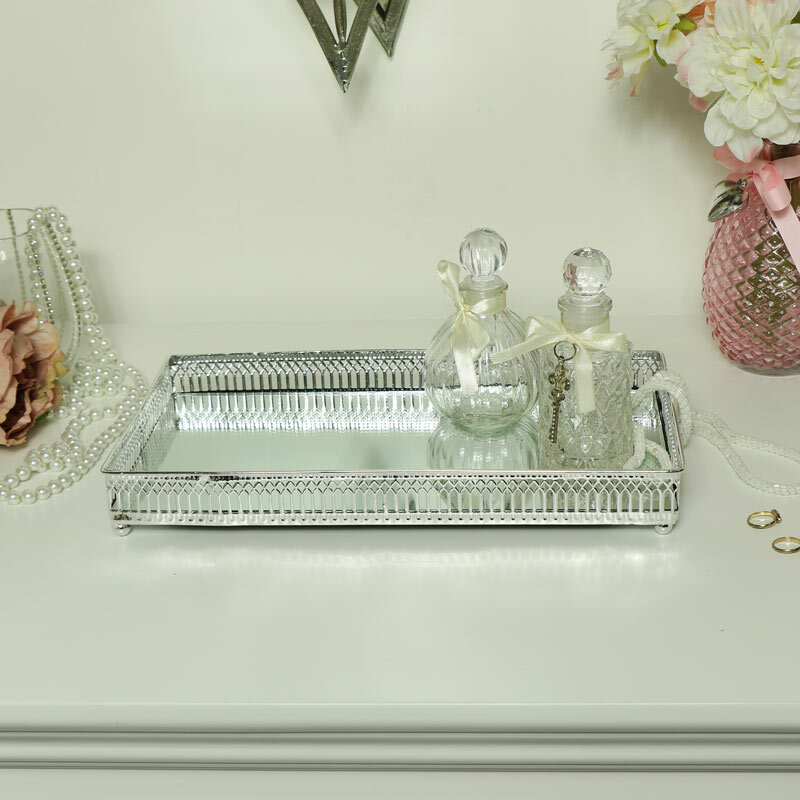 Beautiful decorative mirrored display tray for the vintage home decor. Polished silver metal frame, perfect for weddings and dinner parties. Filligree style frame surrounds the rectangle mirrored base of the tray. Use as a delightful cocktail tray or for display ornaments, trinket, perfumes or candles. Also available in another size. 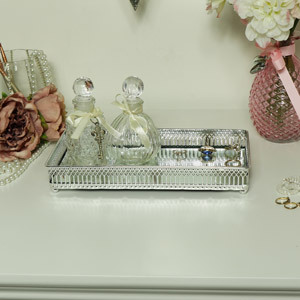 With a great selection of mirrored display trays and plates to choose from for the home or special occasions. 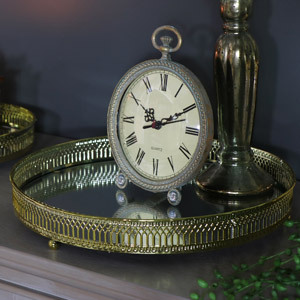 Beautiful decorative mirrored display tray for the vintage home decor. Polished silver metal frame, perfect for weddings and dinner parties. 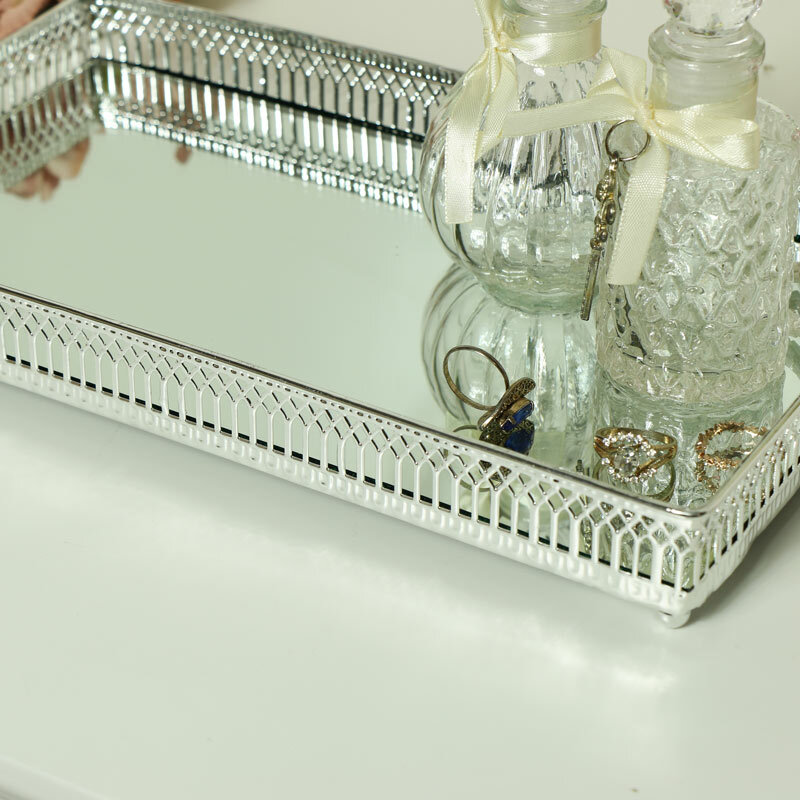 Filligree style frame surrounds the rectangle mirrored base of the tray. Use as a delightful cocktail tray or for display ornaments, trinket, perfumes or candles. Also available in another size. 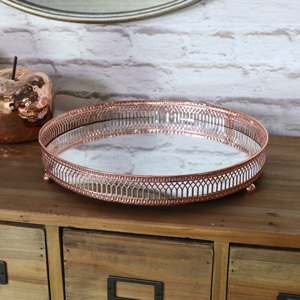 With a great selection of mirrored display trays and plates to choose from for the home or special occasions. Silver nickel plated frame with a mirrored glass surface.